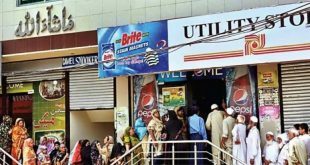 The national savings of Pakistan have recently announce the Prize bond 7500 Draw#74 Full Lucky draw List 02/05/2018 Hyderabad result announced today. The first winner “286810” have got the prize of 1.5 Cror equal to 150 Million Pakistani Rupee and this is only one prize in first prize category. 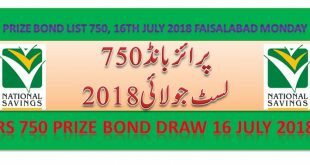 The Rs 7500 Prize Bond is most selling Prize bond of Pakistan. The second winner have got Rupee 50 Lac equal to 05 Million Pakistani Rupee and the lucky number are 264426, 405666 and 622258 that all falls in 2nd prize category. And the third prize winners of Rs. 7500 Prize bond Hyderabad draw will got 93K rupee fall in third prize category. The third prize list of Prize bond 7500 Draw#74 List 02/05/2018 by National savings of Pakistan is still in progress and we will update the full draw list on this page soon. Get download prize bond list 7500 02 may 2018 here.